The world couldn't get enough of Princess Diana, and even more so a decade after her tragic death. Back in the day, whenever a new photo of the princess would be published, the media outlets around the world scrambled to get a copy. I was most curious to find out if there were still any photos I'd not seen - there were, just a few. Princess Diana was born to a great family who were also involved with royalty. You can read all about her parents' lives, Diana and her siblings' early lives, all from accounts from friends and family. Diana's life was not your ordinary life I have to add, she was born to grandeur and for the most part, carried herself accordingly. 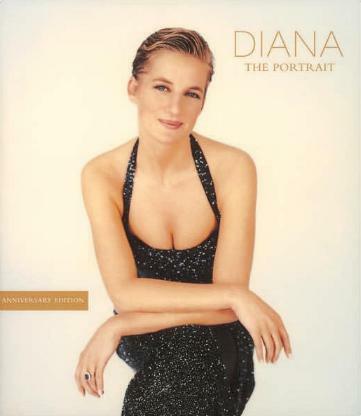 Many photos of Diana are classics and bring back memories for many people. I still get weak at the knees when I look at the photos of the prince and princess in Scotland on their honeymoon. I also love the latterday photos like the ones on pages 129, 127, 88, and the cover. Apart from her family life, there are reports and stories from nannies, friends, reporters, colleages, all mostly relating how thoughtful and generous, caring and considerate she was (the person the public never really knew). It may appear she cared only about her sons and her clothes and her appearances, but there's a side we rarely hear about, the very private side of Diana, which is touching, but I still don't believe we will ever know the true person, and we should stop trying. The proceeds of this book will go to the Diana, Princess of Wales Memorial Fund. Conclusion - A must for all royal watchers and Princess Diana devotees. The only "fault" with this book is that the text is impossibly small.